What do Stephen Curry, Uber, Cam Newton, Airbnb and LeBron James all have in common? Easy – At one point in their existence they’ve each been associated with the term ‘MVP’. Whilst any sports fan will associate the term MVP with the ‘Most Valuable Player’, in the world of app development we see this a little differently – our version of MVP refers to the ‘Minimum Viable Product’. An MVP is the absolute bare-bones version of your app, built with the single purpose of testing your assumptions and validating your idea. It’s a strategically stripped down version of your product that includes the minimum number of features that will directly address the core problem you are trying to solve. A Minimum Viable Product is “a version of a new product which allows a team to collect the maximum amount of validated learning about customers with the least effort.” – Eric Ries, author of The Lean Startup. When turning an idea into a tangible product, the immediate desire is to pack as many features as possible into it so that it can cater to every facet of your target market and become the ‘Perfect Product’. This thinking is dangerous, borne out an instinct to equate features with value. In actual fact, new and established businesses will see greater ROI going to market with a simpler product and taking the Lean approach. Of course, this product should still be intuitive, functional and designed to deliver a seamless user experience. But it doesn’t have to be perfect. The Lean approach saves you money initially and ensures you’re delivering the best product for your user-base in the long run. By defining an MVP, businesses are forced into the mindset of continually revisiting their core value proposition and really asking themselves: “Does this solve our problem?”. This results in clearer definitions of the value you can provide to your potential customers. Throwing everything plus the kitchen sink at your product may cloud the value proposition and also complicate the initial user experience. Whilst you can research your market to death and follow best app design practices, the best course of action is to test a real, tangible product in the market it’s made for. Your customers may not want your product at all, so the logical approach is to build just enough to validate your idea. When your initial product is minimal and features following that are incremental and based on real-user feedback, you’ll be more agile and responsive to your market. Foregoing any unnecessary features will impact your initial costs immensely, saving you investment in both design and development. This is basic logic: You just can’t be certain how customers will use the product or which features you will need to add incrementally. Lower costs are a direct result of the speed at which MVP products can be developed in comparison to full-featured solutions. Some of the biggest names in tech began their journeys by launching an MVP which was gradually refined and improved upon through real-world feedback. This approach kept them financially healthy and allowed them to grow into the juggernauts that they are today. The world-famous ride sharing app was once unrecognisable from what we use today. 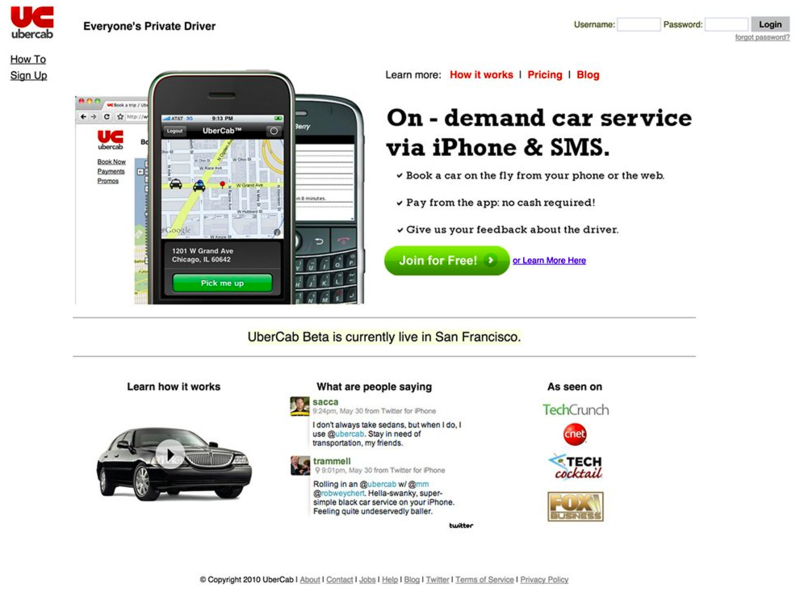 Back in 2010, Uber’s beta version (then referred to as ‘UberCab’) started as a simplified mobile interface only used by the founders and their friends. To gain access you had to email one of the founders. …were all slowly introduced as the company grew and the user base expanded. This approach enabled Uber to start by focusing on a small user base in San Fransisco and use their findings to refine and improve the product in an iterative fashion. 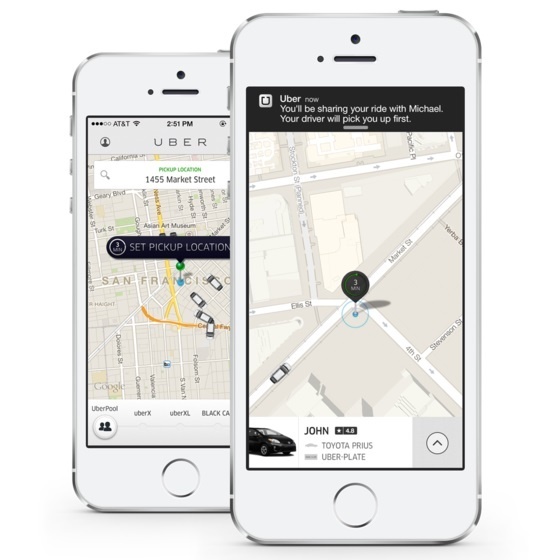 Fast forward today and Uber is valued at an estimated $68 billion and are active in 77 countries and counting. 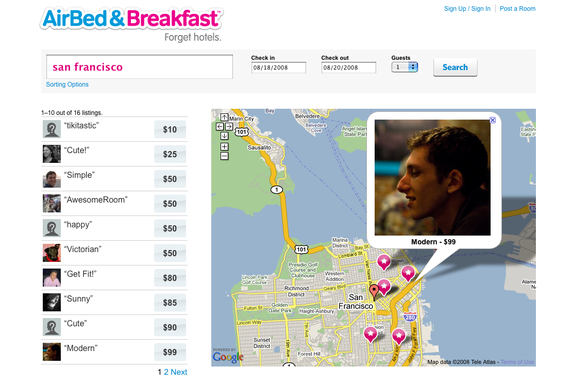 A haven for travelers seeking cheap accomodation, Airbnb (or Airbedandbreakfast as it was known back in 2007) validated their product through the founders themselves. 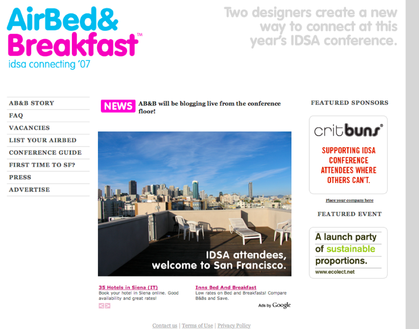 The core problem was identified when the founders realised that hotels in San Francisco had been overbooked during the Industrial Design Society of America Conference (IDSA) in 2007. The founders set up mattresses in their living rooms and created a hacked together website to advertise their house available for the weekend. They got a whopping three paying guests to their house. Tip: There’s a big difference between people who say they like your product, and people who will part with cash for it. Paying customers are the best form of product validation. 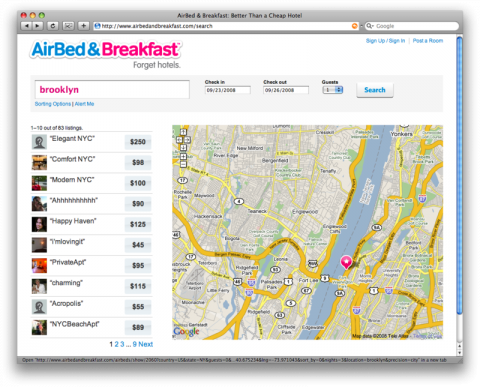 This is a far cry from where Airbnb is today. Excluding the multiple major redesigns and the 2 million listings in 57,000 cities, their approach has been to focus on reinforcing the core experience following constant user feedback rather than adding unnecessary features and steering away from the core problem. Airbnb’s latest significant app update includes sophisticated AI technology for smarter, more personalised app experiences, as well as the integration of neighbourhood ‘Guidebooks’ created by Airbnb hosts. Airbnb is now worth an estimated $30 billion and is used in 191 countries around the world. The famous cloud-storage solution didn’t even release a physical product as their MVP. Rather, they created a short video which demoed their product’s first build, explained their core value proposition and demonstrated how easy it was for people to share files across their devices. This simple 3-minute video was targeted at a community of technology early adopters and published through Digg, a platform known at the time for its tech content. Once this video was released, their beta sign-up list blew up – they went from 5,000 to 75,000 overnight. Was file synchorisation a problem that most people didn’t know they had? 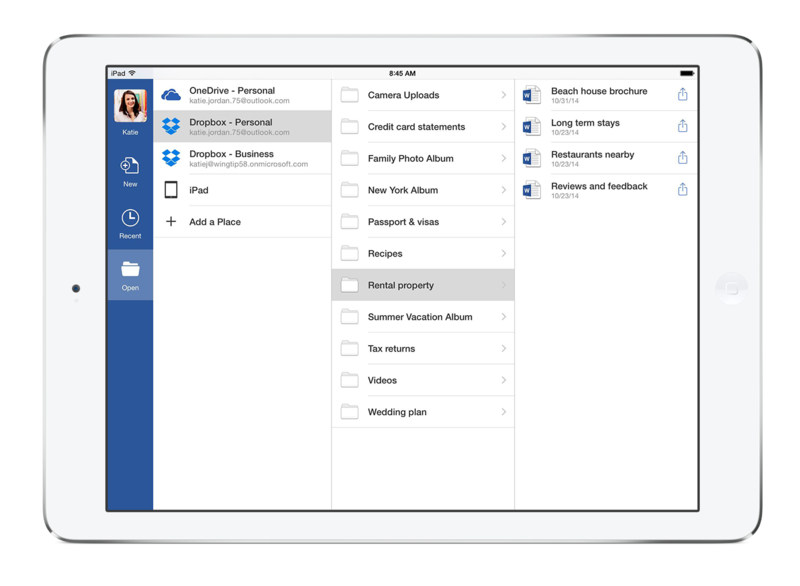 And if they could provide a superior customer experience, would people give DropBox a try? The company is currently valued at $10 billion and has over 500 million users, saving a cumulative 1.2 billion files daily. How Can An MVP Work For You? Delivering an MVP for your app’s first release does NOT mean releasing an ugly, nonfunctional product that has been hacked together without much thought. Rather, it means you are releasing a lean product that solves the customer problem, using proven best design practices, while allowing yourself the room to make gradual changes to design and features based on real user feedback down the road. The MVP will allow you to validate your idea with a small subset of your market and then expand. Whilst you can certainly expect potential changes along the way as you learn, the core problem and value proposition should stay omnipresent in your mind and approach to your product. You’re better off releasing an imperfect product to market, as the learnings from your user-base will yield more long-term value to the direction of your product. Shout out to UberCab – nobody remembers what you are, but you are the real MVP.